Lions Karate in North Webster is a well rounded martial arts school focusing on Taekwondo (kicking AND punching), Kobudo (weapons), and Aiki Jutsu (wrist locks and projections). Mr. Hanford holds a 5th degree black belt in Taekwondo, 3rd degree in Kobudo, and 1st degree in Aiki Jutsu. He teaches every class, although he assists in teaching during the Aiki Jutsu classes where Sensei Arnold (5th Degree) instructs class. Find out more about Lions Karate and the class schedule at www.LionsKarate.com. There are 7 different classes and times for students searching for any art and suitable for any age from 5-65 years old. Would you like more information on hours, classes and programs available at Lions Karate? Please contact the school with your questions. Update the details, Write a Review or Report Error of Lions Karate. View all Dojo in North Webster or in Zip code 46555. This Chart shows the Martial Arts Styles offered most in North Webster, Indiana area. 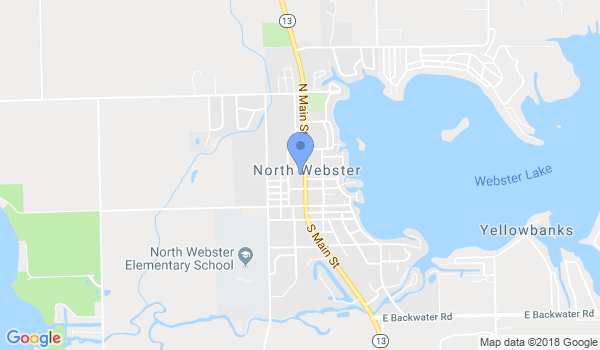 View a list of Dojo in North Webster, or enter your address below to find schools closest to you.